If you want sporty style that offers some premium features, but don’t want to pay a hefty price, then the 2016 Kia Forte Koup is the vehicle for you. With a starting price tag of $19,890, this two-door sedan offers an endless list of standard features that you would most definitely have to pay for with other models. Features like standard SiriusXM satellite radio, steering wheel-mounted controls, and a 4.3-inch touchscreen display make the Forte Koup the perfect luxury vehicle. Add Kia’s top-notch UVO infotainment services, and it’s likely you won’t find a better coupe—or should we say Koup?—in the industry for its price. There have been a few minor revisions to the list of standard and optional features for the 2016 Kia Forte Koup. The 2016 Kia Forte Koup comes in two trims: EX and SX. If the fact that the Forte Koup is a two-door doesn’t give away the fact that this car is meant to be sporty, then a single glimpse of the exterior will do just that. The 2016 Forte Koup brings athleticism to life with sculpted body lines, sweeping curves, and a standout front fascia that sets this model apart from its competition. Add the Koup’s available eye-catching HID headlights, and there’s no doubt that you will turn heads as you drive down the road. 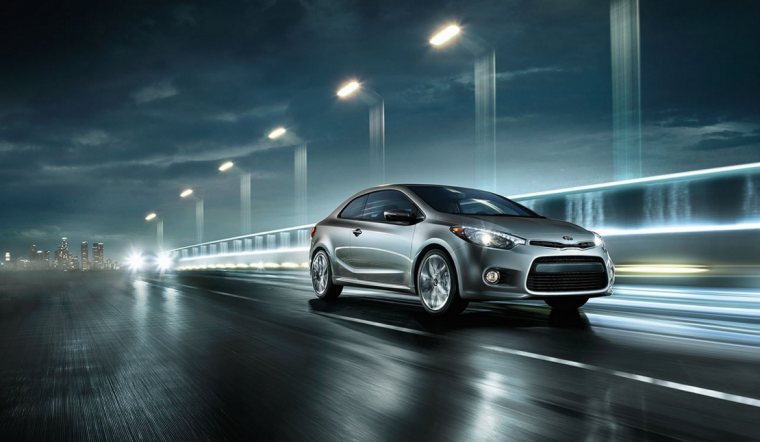 The 2016 Kia Forte Koup comes standard with a 2.0-liter four-cylinder engine. 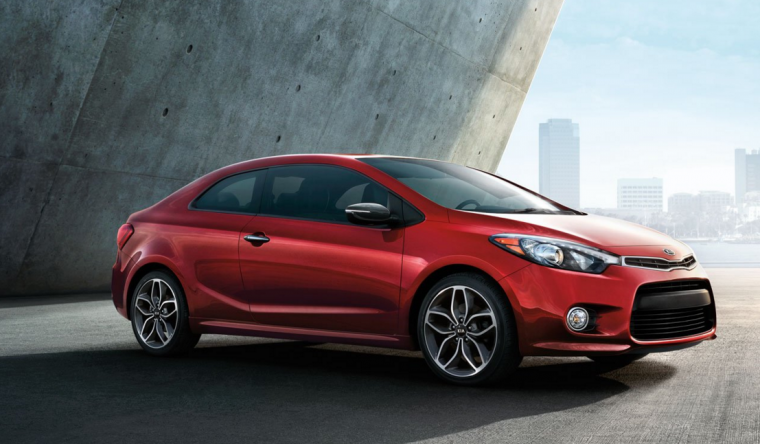 Despite the Forte Koup’s relatively small size, this 2.0-liter engine pumps out some peppy power with 173 horsepower. This engine is only available with a six-speed automatic transmission. For true power, consumers can turn to a turbocharged 1.6-liter four-cylinder engine that churns out 201 horsepower and 195 lb-ft of torque. This engine, which is only available on the SX trim level, comes standard with a six-speed manual gearbox, though a six-speed automatic with paddle shifters is available as an option. 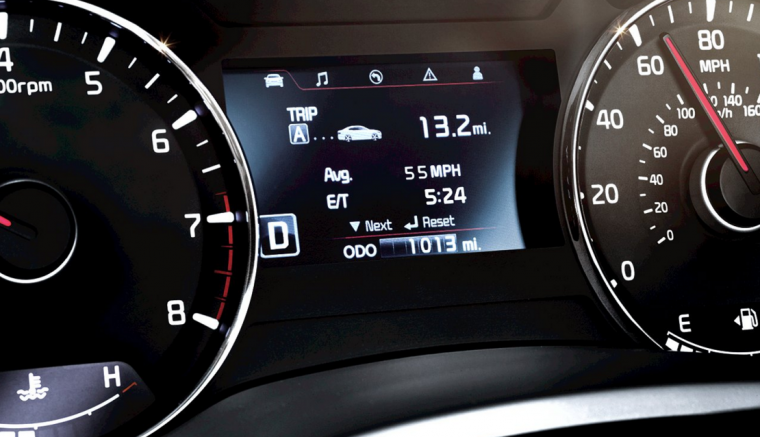 If you opt for the standard 2.0-liter engine, the EPA-estimated fuel efficiency rating is 25 mpg city and 34 mpg highway, which gives it a combined rating of 28 mpg. The turbocharged 1.6-liter engine comes in with 22 mpg city and 29 mpg highway with the standard six-speed manual transmission, while the six-speed automatic gets 22 mpg city and 30 mpg highway. Regardless, each transmission gets 25 mpg combined. 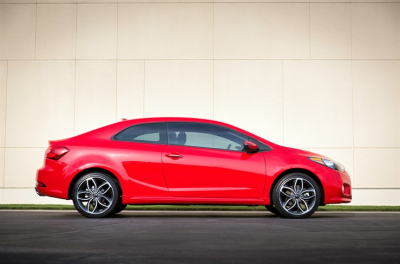 Despite its value-oriented price, the Kia Forte Koup is anything but an economy car. 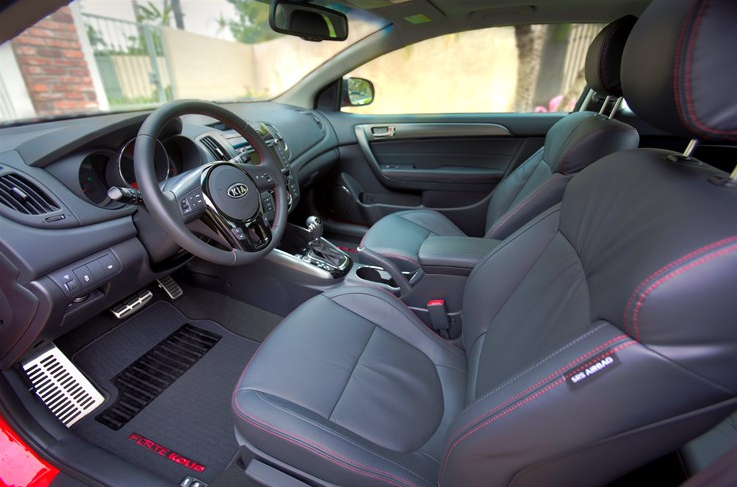 Rather than stuffing the Koup’s interior with plastic and low-quality materials, Kia has instead created a cabin that gives premium-level vehicles a run for their money. 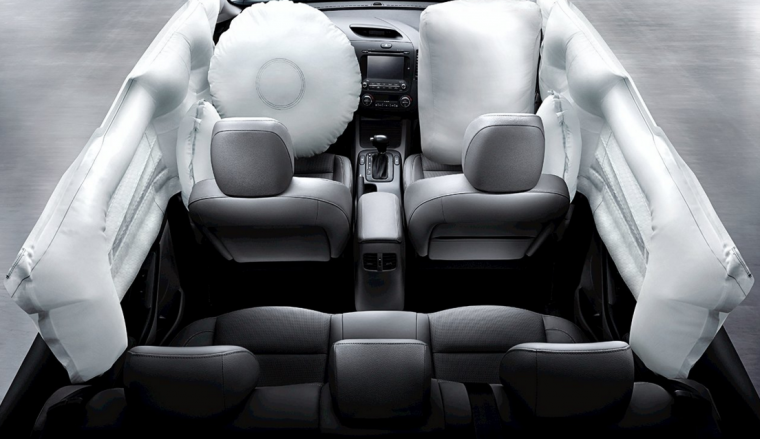 With a standard touchscreen interface, comfortable seating, and generous cargo space, the Forte Koup is truly unique in its segment. Available heated front seats keep both driver and passenger comfortable, while a six-speaker sound system with SiriusXM Radio makes it easy to stay in the groove while driving. The Insurance Institute for Highway Safety has not tested the 2016 Kia Forte Koup, but it has tested the Forte sedan and given its highest score of “Good” in its moderate-overlap frontal-offset impact tests, along with its side-impact, roof-strength, and whiplash protection tests.